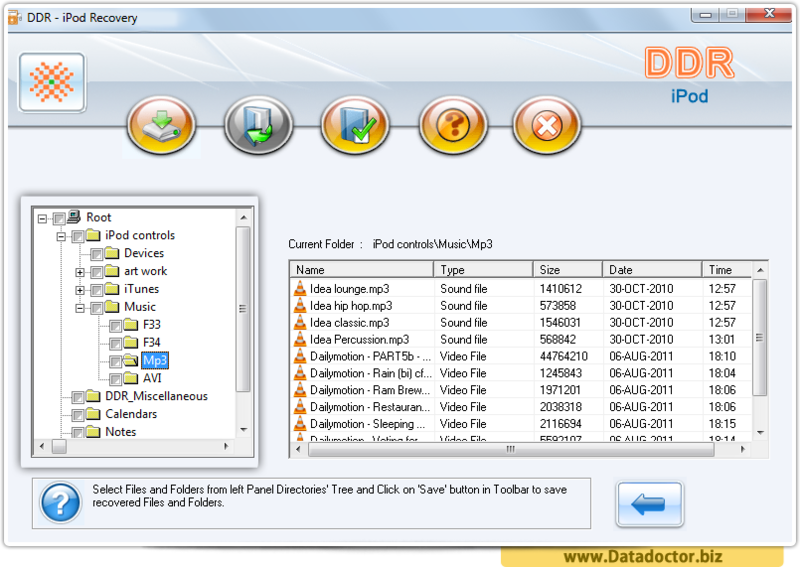 Data recovery software is fully capable to recover lost or deleted music, pictures, video files and folders from iPod (e.g. iPod Mini, iPod Nano, iPod Shuffle, iPod Classic, in all first to next generation series and other similar Sony, Toshiba, Samsung MP3 music etc) lost due to accidental deletion, format, corruption, improper restoration etc. 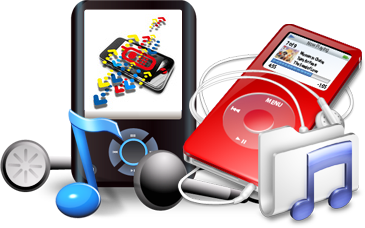 iPod Data Recovery software is helpful to recover and retrieve your lost Mp3 Music, Photo, video, pictures, songs, images, File, Folders and all previously existing Data on your iPod portable device. Select Standard Search from this screen and click on next button. 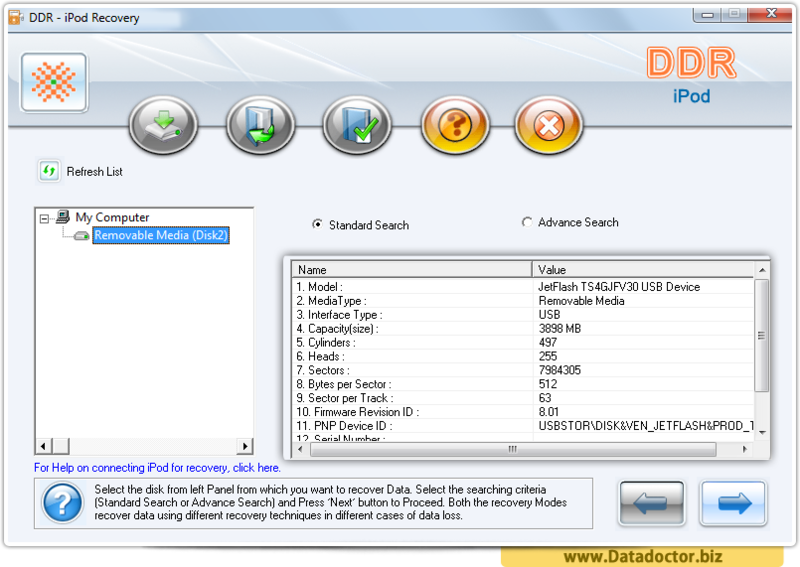 Data recovery process is running to recover entire lost data. This screen shows entire recovered data from your iPod music player.